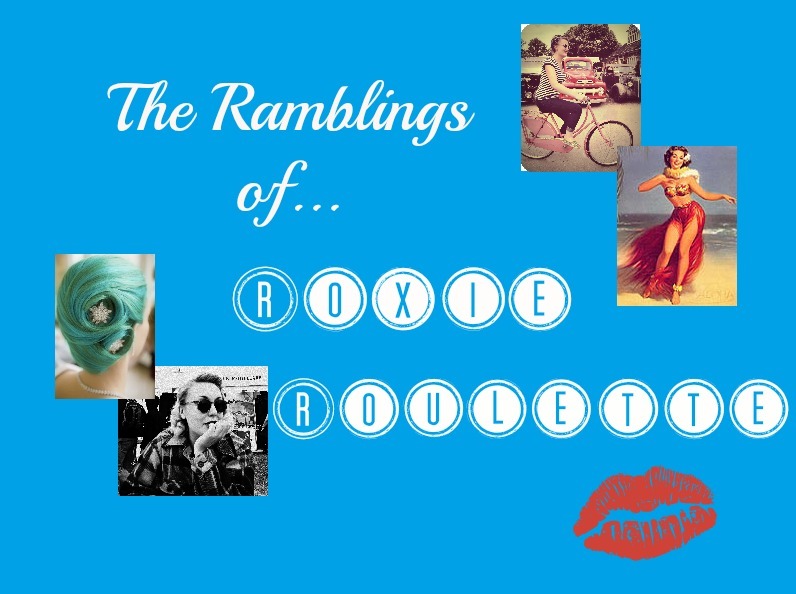 The Ramblings of Roxie Roulette: Tag You're It! I got 'tagged' by the lovely LisaFreemontStreet on Youtube to do this vintage tag. Now, before you get your hopes up that I've been fraternising with people who have such high-standing in the community...she tagged everyone on youtube, not just little old me individually. So, here is my tuppence worth of opinions and factoids on what I think of the vintage style and how I blend it into my everyday life. And now I tag you! If you're interested here are the questions for you to answer in a video, or if you're camera shy just in good old fashioned writing. 1) Who's your style icon? 2) Whats your favorite way to get inspired? 3) What's your most used hair tool(s)? 4) Whats your favorite hair tool/ gadget? 6) Is vintage styling something you do daily? 7) Whats your favorite blush/ lipstick? 8) Dress, skirt or trousers? Heels or flats? 13) What does the rest of the family think of your "style"? 15) Do you find the vintage community warm and inviting, or cliquish and snooty? 17) Your favorite place(s) to shop vintage? I Suppose I'll Just Have To Go Naked Then. Best Weekend Of My Life?